If you want to know how your baby is doing, checking your smartphone app may not be your best bet. That’s the bottom line of an opinion piece in the Journal of the American Medical Association about the new apps that monitor the heart rate, oxygen level, and other vital signs of babies, using sensors that go in clothing or bedding, and sound alarms if something seems awry. I’ve been a new mom a few times, and I totally understand the appeal of these apps. I have gone in repeatedly to check my baby’s breathing, getting my face down to hear them, putting a hand on their back to feel its rise and fall. I’ve worried and fretted over little noises, and wondered if they were pale. Being able to do all that from my smartphone sounds like a dream come true. These apps are not marketed as medical devices, and so aren’t subject to any testing or regulation. The developers can simply make any claim they want to make. Not that the developers are trying to fool people. I think that they genuinely do want to help parents monitor their babies, and keep babies safe. But we simply have no data to show that they keep babies safe at all — in fact, they may keep babies less safe. One way they could make babies less safe is by subjecting them to medical visits and tests for no good reason. The thing is, it’s not uncommon for a heart rate or breathing rate of a baby to go up or down briefly, or for their oxygen level to drop and then come back up. There are all sorts of reasons it happens — and the vast majority of the time it’s nothing to worry about. The vast majority of the time, actually, we don’t even realize it happened because the baby looks and acts completely fine (because the baby is completely fine). But with these devices, parents will see these blips (alarms could go off) and could easily panic and end up at the doctor’s office or emergency room. Many doctors will end up feeling obligated to do tests that truly aren’t needed based on information from the app. These devices could very easily make parents crazy, because after all, imagine if you missed something? Anxious new parents could end up glued to their devices, worrying about every little number and bit of information, which could make it hard for them to drive, work, do chores, exercise, read, talk to their friends and family — oh, yeah, and parent. The apps could also, on the flip side, give a false sense of security. 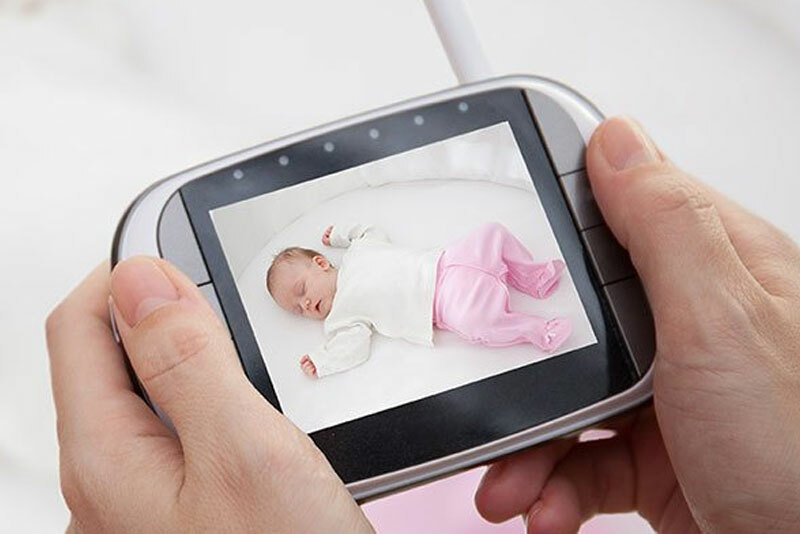 Why go check on the baby if the sensor and app have it covered? If the device hasn’t alarmed, all must be fine, right? Except that sensors fall off, apps malfunction, phones get silenced, and batteries die. Not to mention the fact that we have no data (remember?) as to whether the information gathered by the app has any predictive value whatsoever. We don’t know if the apps can truly prevent SIDS or let you know when your baby is getting sick. We have no idea. What worries me the most, though, is that these apps may undermine something that parents need to do: paying attention to and getting to know their babies. When parents go and check on babies IRL (In Real Life), they learn their sounds and movements. They learn the difference between normal breathing and fast or forced breathing. They learn the difference between a cranky baby and a sick one, the difference between a hungry cry and a cry of pain. They learn their baby’s normal color, and how to tell when they are more limp or stiff than usual. They become attuned to the small hints and cues that let them know if their baby is fine — or if there is a problem. This is crucial knowledge. When a parent calls and says that something is wrong with the way their child is acting, I get worried — because they are usually right. Technology can make our lives safer and better, there is no question. But we have to be really thoughtful and careful in how we choose and use technology when it comes to the health and safety of our children. If you really want to know how your baby is doing, don’t look at your phone. Look at your baby.